Scattered or groups in hardwood forests, grassy areas with trees, and on sawdust piles. 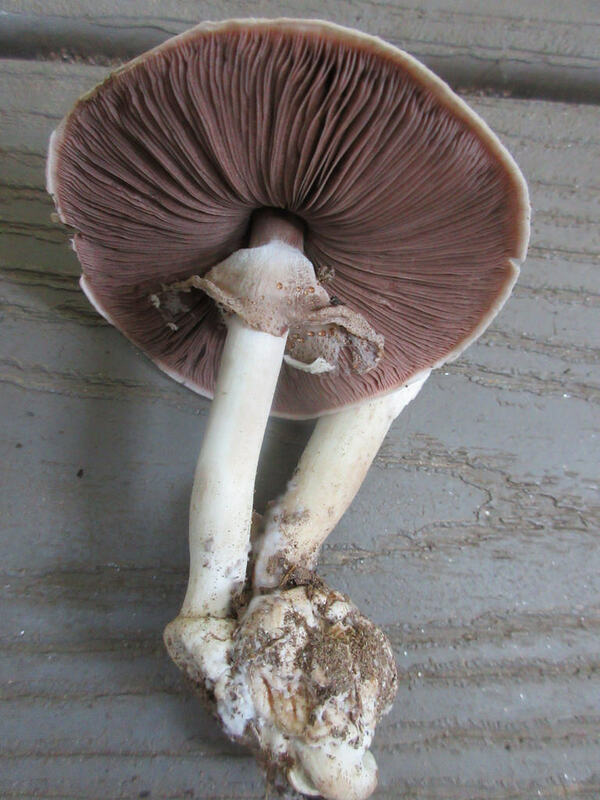 White cap with tiny grayish-brown scales; unpleasant odor. 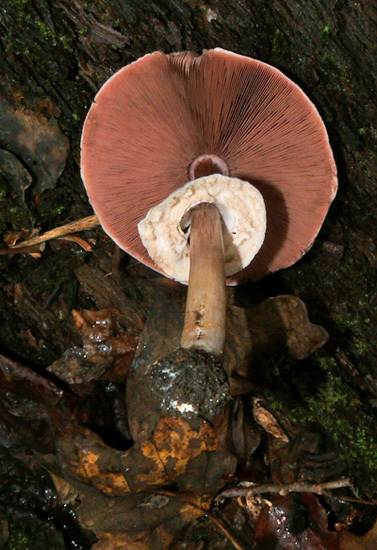 Gills white but rapidly becoming pink, then rose, and dark brown with age; crowded; white membranous veil covers young gills. 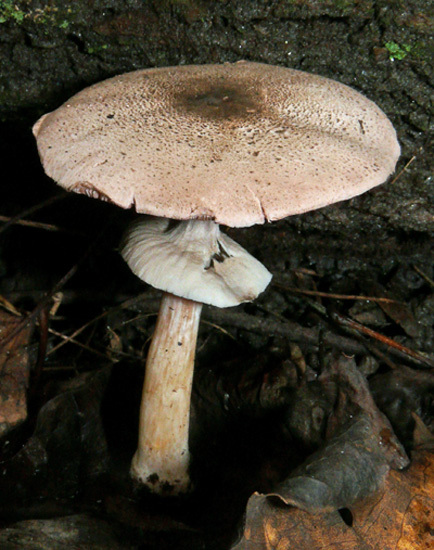 Stalk white, flesh in base stains yellow, abruptly bulbous base. 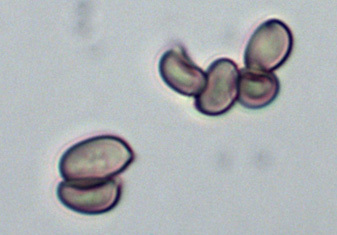 Ring on stalk has cottony patches on underside (J. Solem, pers. comm. ).